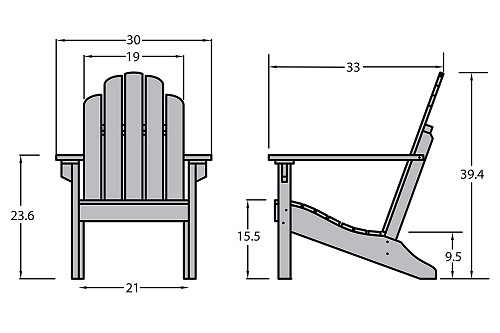 When you see an Adirondack chair, what comes to mind? Comfort? Coziness? The beach? If any of these things come to mind, then you aren’t alone. Many people are drawn to the allure of these chairs because they offer a large slice of Americana and they give you the feeling that you rarely get with other pieces of outdoor furniture. 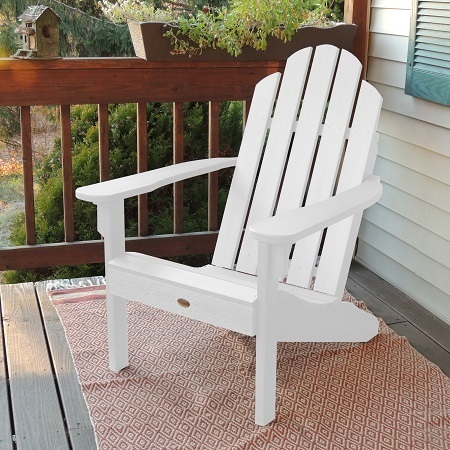 With that said, the Highwood Classic Westport Adirondack Chairis different than others you may see because not only is it made from a recycled plastic material, but the chair is available in several colors. These colors can give your home the added pop of color that it may need, or it could be the perfect accent to make your beach house feel welcoming and like home. 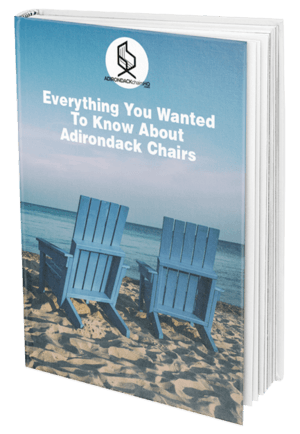 Before we give you our recommendations, we want to give you an in-depth look at the Highwood Classic Westport Adirondack Chair and then give you a glimpse of what other customers who have purchased had to say about these chairs. By the end of this review, you’ll have a better sense of what stands out about this chair and see if it is really something you’d want to purchase. 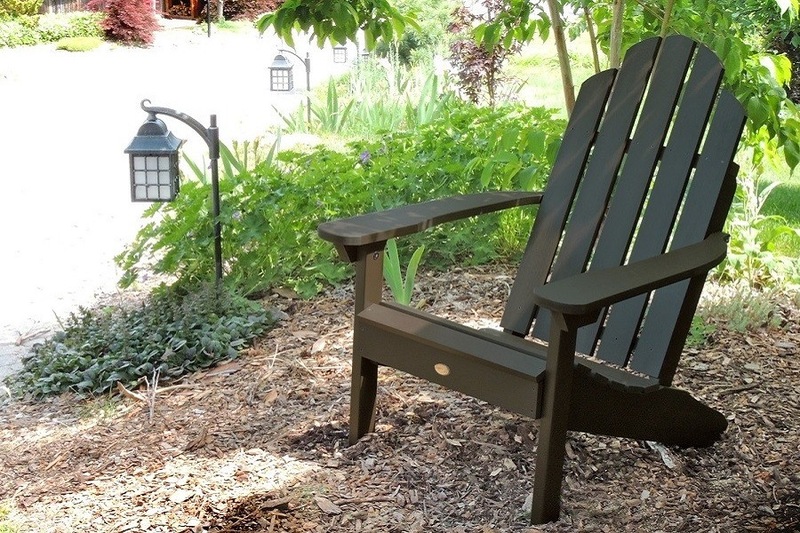 The Highwood Westport Adirondack chair is a classic and popular design. This flat back chair is made in the United States, in Hometown, Pennsylvania to be exact. You’ll find that when you lean back in this chair, you may feel the stress from the day begin to melt away from your shoulders and back almost instantly. The chair is comfortable enough to lounge in for long periods of time, whether you’re reading in the garden, watching the sunset on the beach, or just relaxing and taking in the warm weather. When you’re assembling this chair, it has an estimated assembly time of one hour, however, if you are DIY inclined, you may find it can be assembled easier and quicker than that. The overall dimensions of the chair are 39.5″ H x 29.75″ W x 34.5″ D (inches), and has an approximate weight capacity of 500 pounds. It’s always good to know the experience other people have had with the product that you are interested in purchasing. Because of this, we wanted to look at the verified purchasers on Amazon to see how they felt about the chair after they bought the product, assembled it, and have used it for a while. 81% of people have left 4 or 5-star reviews. The chair is a high-quality chair that is built with durable materials. 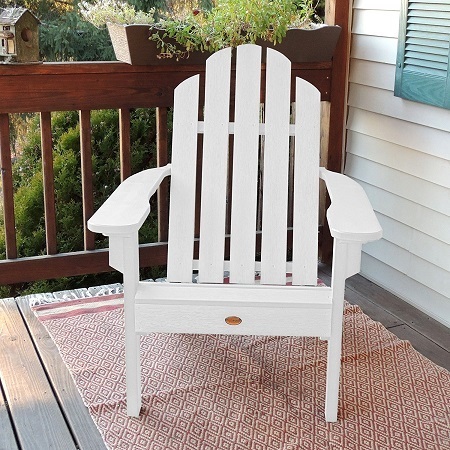 The chair has the feeling of a traditional Adirondack chair, both in comfort and design. The chair only took about 15 to 20 minutes to assemble. They liked that the chair came with a wrench to use when assembling the chair. They found the chair to be comfortable and looked very nice. They felt the chair was fragile and they had to glue broken boards near screw holes. One person said their chair didn’t have all the pieces included in the box. One customer said it was uncomfortable to sit in for both a tall and short person. The chair had a white cast on it and the color began to fade after three weeks of use. One person wasn’t happy with the color choices provided and wanted to paint the chair, but the paint wouldn’t take. Instead of having those plastic or the folding chairs on your porch doesn’t add any charm to your home, you might want something that has a classic design that is both comfortable and charming. In order to get a chair that is both functional and charming, you’re going to have to pay a hefty price for it, especially if you want it to last a long time and have minimal maintenance involved. 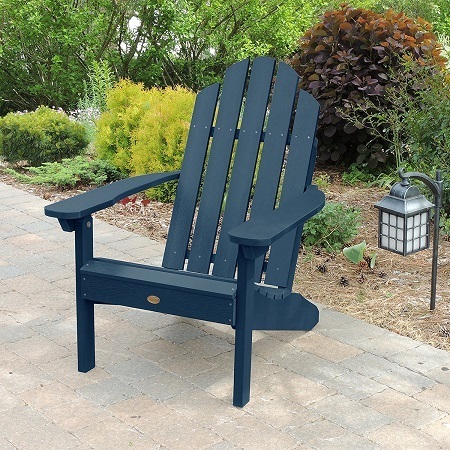 If price is of no concern, then the Highwood Classic Westport Adirondack Chair, priced at just under $245 is definitely a viable option. Since this chair is made from a recycled, eco-friendly material, you don’t have to worry about bring the chair into storage during the cold months. It can withstand all sorts of temperatures, and even direct sun. The material is durable and fade resistant, which means even if you choose the Nantucket Blue option, you can expect that color to be as bold in 10 years as it was the day you purchased it. We fully recommend that you make this chair your new favorite summer chair. 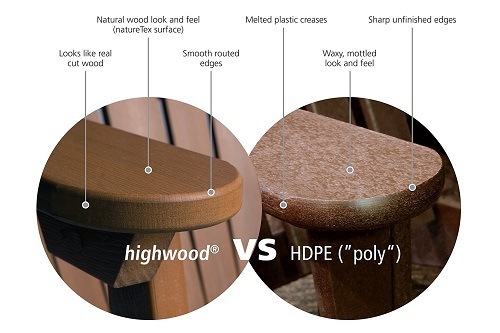 While it is at the higher end of Adirondack chair price range, we feel that it is certainly worth the money. Not only is it durable and made from durable materials, it is also a lot simpler to put together than advertised, which is certainly a plus in our book. We do want to remind you that a few people have had small complaints in regards to the construction of the chair, however since this is a small handful of people, perhaps it is more along the lines on competency rather than the chair itself. Whatever the case is, once you have this chair put together, you’ll see why so many people enjoy this chair!